Responsive Prestashop theme Leo Travel Gear is ready to rock now! Right at the first sight, Leo Travel Gear leaves us with a distinct impression of the wildness and the feeling of getting back to nature. Leo Travel Gear, with 5 homepages, is best suited for urdoor activities clothing and travelling gear stores. Now let’s enjoy some highlights about our exceptional site. Firstly, Leo Travel Gear is a 100% responsive web design. As we know, responsiveness has become a must in this age of mobile commerce. Therefore, your site will look astonishing on any devices including smartphone, desktop, laptop, tablet and highly custom-making. Secondly, the Full Width Sliders and Attractive Banners and grid-based layout will make your site well-organized and neat. As a result, your products will be nicely displayed to customer. With the large and broad header, you can easily showcase the hot trend products or new arrivals to approach your customer. 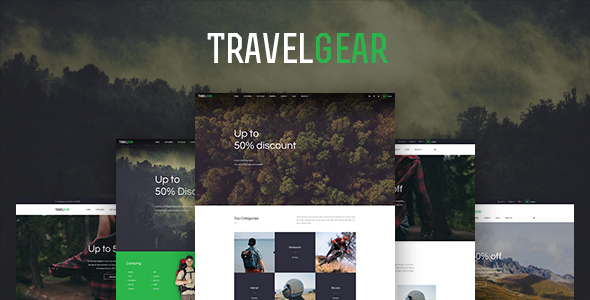 What is more, built with the best Prestashop Framework and Modules Ap Page Builder, Leo Travel Gear allows you to create as many profiles as you want for your marketing campagins, and create multiple profile with numerous header and footer. Also, Leo Travel Gear brings you a smooth sense with wonderful features as Animation and Owl Carousel, and Swipe. Last but not least, Css3, Html 5, RTL language layout and Bootstrap 4 Framework are supported. For this reason, it helps to create refined web page with semantic accuracy and effortlessly custom-making. The authoritative admin panel sure will help you manage your site better and customize with ease.